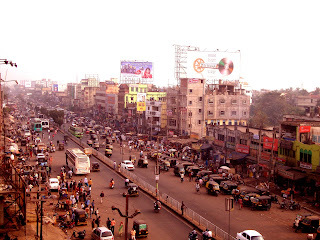 Literary 'Cuttack' means a City or town. 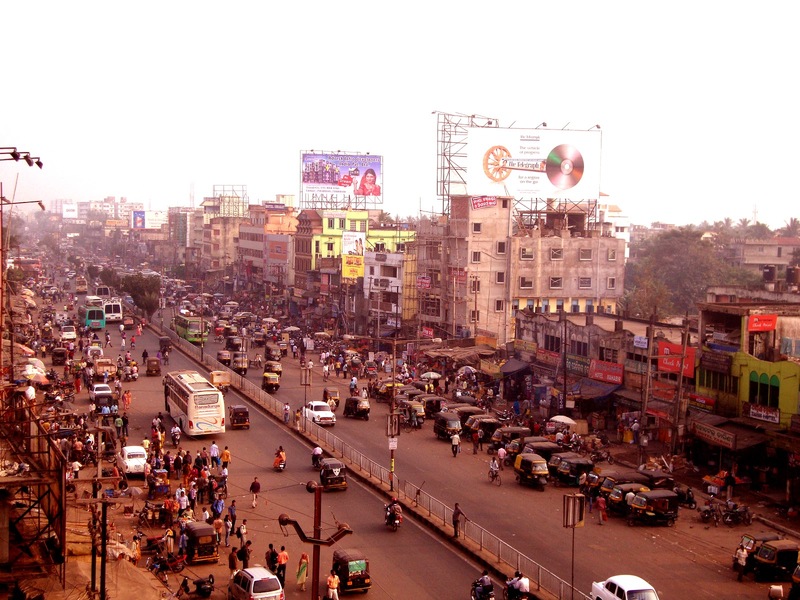 Although Cuttack is a small city of Odisha but has recently celebrated 1000th year of its establishment as an oldest city of eastern India. Nobody knows who had kept the track of a such long duration. But the city has its glorious record in the recent history. Many noted figures, Persona & Events has been the part of the city. Surround by Rivers in all of it sides, the city has many things to reveal. Late in '90ies, during one midsummer afternoon, say during end of April or May, when scorching heat made the day of Cuttack unbearable, a Boy & a Girl happens to meet each other in the Badambadi bus stand, when they were waiting for a bus Named 'Garuda' to their home towns somewhere else in odisha. Great!!!! A Boy and A Girl !! !....It must be Love Story.....Wait!! Wait!! ....don't rush. Badambadi Bustand, is the most important transit bus stop of eastern odisha. Let my readers who don't know about Badambadi bus stand, kindly stop to imagine about of some glamorous place but rather confine their thought to a over crowded, dusty, dirty and stinky busy place where you would find all kinds of business going on with full swing. And this Boy and Girl manged to find a place at the waiting hall and while their olfactory nerves in their noses trying hard to ignore the smell form nearby urinal. The Boy was alone and while the Girl was with her Brother. But the way they girl and laughed and talked, it seemed that they were not blood related. The girl was not that fair but was beautiful from all sides (yes yes from all sides) and the Boy was fair bit plumpy and was handsome to attract any one's attention. And the girl was certainly attracted. The boy and the girl along with her brother were waiting for Garuda which was supposed to leave from the bus stand at 4pm in the afternoon. But unfortunately the only bus was nowhere to be seen in the entire bus stand. When they enquired, they found the bus broke down somewhere and will not be available till next day. Odiyas likes to make friends with strangers who are in similar situations, and this time the girl's brother tried to be friend with the Boy. And the Girl became happy from inside. The brother asked the boy, " You were also to travel with Garuda ?" "Yes" - Our boy was bit sober, so his answer was confined to one word only. but our Girl, yes who is beautiful from all side, overtook her brother and asked the boy with a broad smile "Brother, to where, you are going?" Odiya girls likes to make brother very often to all equal aged boys. But let the reader assume that there is nothing about brotherhood or sisterhood in the story. "I am going to Govindpur" our boy replied. "Govindpur!!?" the girls started making connections - must have some relative belonging to that city. "Oh! yes Certainly, my uncle's uncle lives there"
"Why you came to Cuttack?" This time the Girls's brother asked. "Came here to give an exam?" "Is this your 1st Time, in Cuttack?" "So, how was your exam?" The girl asked with a smile. "Then you are becoming a Officer Babu, and will certainly marry a Girl like princess"
Our boy blushed and gave a broad smile. "Will you remember of me?" "Oh! sure, why not", Now our boy started becoming frank with the Girl. Both of them chatted, smiled & laughed for more than an hour. By that time Boy had almost fell for the girl and his nose completely ignored the smell from the urinals. The Girl's Bother seemed concerned about the development in the conversation. In a grave voice, He told her, "Sister, aren't you feeling hungry?, its late now, we have to find a restaurant. and moreover we have a long night to spend...."
Odiyas likes to dine in group, they never like to eat alone. "Oh Sure! I am also feeling hungry" replied the boy and asked "Do you know any good restaurant nearby?" "We don't know, but we can find it"
Three of them went out of the bus stand to find a decent restaurant and they went inside one, after surfing a few by the road sides. All of them enjoyed a tasty meal (Odiya food tastes great- one must try), The Girls Brother paid the bill, although our boy persuaded to contribute his part. "Now we have to spend the whole night in open sky, why don't we all go for a walk along the Kathajodi banks"
"Let's go" our boy said with a smile. The girl's brother even smiled (an indicative smile). As they approached near the Kathojodi Banks, Cool air made all three active. As if forgetting everything in the cool breeze the Girls's brother went ahead, leaving our Boy and our Girl alone in the moon lit night of the summer, in the bank of Katahjodi. Now .....Now..... Love is Must.....( Song sequence)........You readers!!!! ......this is not a Hindi or a Odiya movie. Our Girl said our Boy in a soft voice, " You are a beautiful young man. girls of your village must be madly after you?" "No nothing like that" never thought on that side. "Do you like my......sorry me?" "Only Good? Not as good as to be your Girl Friend?" Our boy felt something in his stomach, This is the 1st time, that someone has proposed him. "Is he your own brother?" Our boy wanted to clear everything before anything. "No, He isn't, but more than a brother. Why you asked?" "Oh! no, Don't take it otherwise"
"then which...wise?' asked the girl showing a little anger. "Sorry, I didn't mean to hurt you." the boy apologized and simultaneously felt an urge to say the the three words and hesitantly uttered. "I like eerr Love you....... (as he did utter the Words, he realized he has not asked her name) What is your name?" "My name?................Want to have some panmasala?" As the boy started chewing, Pan Masala, which she gave, He said, " See!! !, how long we hve been talkng and i have not asked your name........What is your name?" "My name ?, My name is CHATURI"
"What?" this time he seemed drowsy. Next morning, an old man, found the boy only in his underwear half fainted, on the sand of Kathajodi River Bed. He took him to the Hospital. When he came into sense he realized it was 'the Pan Masala' he ate last night. You are really a good writer. A story with a twist as always........Thats your unique style and makes every word of yours worth-reading. Punches about odiyas in bits and parts add more spice to the story. The biggest lesson it gives to all of us is trusting strangers can be fatal and do not let your heart rule your head always......Great work indeed! Keep it up. Now-a-days Gyaan is becoming more than a story teller. Nice short story. Ending is suspicious.